The NZ Motoring Writers’ Guild versus the AA and NZME – all you need to know over naming row of national awards. The Commerce Commission is leaving the naming rights over two different car of the year awards up to the organisers. 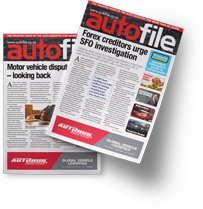 A complaint lodged by the NZ Motoring Writers’ Guild has been dismissed by the watchdog because it says no breach of the Fair Trading Act (FTA) has occurred. The guild cried foul after the NZ Automobile Association (AA) and NZME Publishing to set up their own annual AA Driven New Zealand Car of the Year Award (AA/DCOTY) with much being made of two words – “New Zealand”. The guild claimed by using “New Zealand”, the AA and NZME were “engaging in conduct misleading or deceptive, or likely to mislead or deceive” consumers and businesses that the AA/DCOTY Awards are linked to the guild’s New Zealand Car of the Year (NZCOTY) Awards, which have existed for about three decades. But the commission disagreed, saying, “we consider intellectual property concerns may be better suited to private action between the parties”. Richard Edwards, guild president and managing editor of Auto Media Group, says the next step in the process has yet to be decided and “we will continue to stand by our position that we have sole rights to use the New Zealand Car of the Year name”. 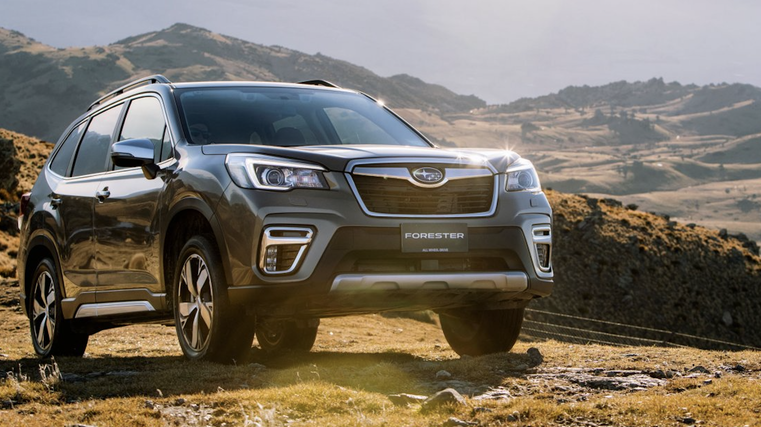 Indeed, the Subaru Forester, pictured, was declared its winner for 2018 on December 5. Sources close to Autofile indicate for last year’s awards the guild wanted might have wanted 11 finalists instead of 10. Logistically, it might have been a bit tricky to fit in an extra vehicle at Auckland’s Viaduct Centre given the final’s on-site layout there. And, presumably, if there were 10 finalists at the start of the process, there should have been 10 at the end. Autofile Online requested more details from the commission on the complaint. This was treated under the Official Information Act (OIA) with correspondence between parties supplied. The AA, Driven and NZME weren’t contacted as part of the commission’s assessment, and “didn’t provide additional information that can be supplied”. The correspondence below has been edited. “The Motoring Writers’ Guild [MWG], the complainant on whose behalf I’m submitting this complaint, is concerned by using the words ‘New Zealand’ in their AA Driven Car of the Year Awards [AA/DCOTY] for 2018, NZAA and NZME are, in trade, engaging in conduct that’s misleading or deceptive or is likely to mislead or deceive. “Specifically, the use of ‘New Zealand’ in the AA/DCOTY award is likely to mislead or deceive consumers and businesses the award is – or is associated with or forms a part of – the guild’s New Zealand Car of the Year [NZCOTY] Awards. “I refer to letter of December 20, 2017, which advised the guild wouldn’t be continuing with the agreement between the guild and NZAA for further New Zealand Car of the Year [NZCOTY] Awards. “On August 8, NZME Driven announced it was partnering with NZAA to create the AA Driven Car of the Year Awards [AA/DCOTY] for 2018. 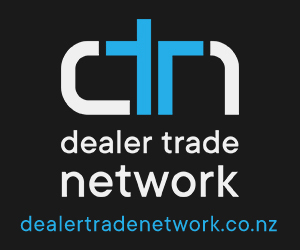 The Driven article featuring the announcement included a logo, which included ‘New Zealand’ in the name of the award, ‘the AA / Driven New Zealand Car of the Year 2018’. “You will recall that in 2012 when, with the help of the Motor Industry Association, NZAA and the guild agreed to establish the New Zealand Car of the Year brought to you by AA and the Motoring Writers’ Guild, the guild brought to the arrangement its NZCOTY award. NZAA dropped its existing AA Motoring Excellence Awards and supported NZCOTY instead. 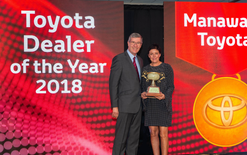 “The MWG has developed a Car of the Year Award to recognise its choice of the best car released on the market that year, referred to as the New Zealand Car of the Year Award. 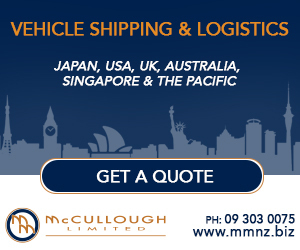 “NZAA’s announcement of the collaboration on September 26, 2012, included: ‘AA motoring services general manager, Stella Stocks, says, the AA is delighted it has been able to combine its Motoring Excellence Awards with the guild’s Car of the Year’. “Business goodwill in the NZCOTY award was developed by the guild. It first made the award in 1988 and has continuously refined it. The guild has the exclusive right not to have that goodwill damaged by acts of others. “When the guild discontinued its arrangement with NZAA in December last year, the guild didn’t agree to NZAA or its partners continuing to use the NZCOTY name or methodology for any other motoring or car of the year award. In other words, such rights and licences as NZAA had to use and exploit the NZCOTY name came to an end in December 2017. “The guild is concerned that by including ‘New Zealand’ in the name of the AA/DCOTY Award, NZAA and NZME Driven are passing off the AA/DCOTY as the award of, or an award approved by, the guild when it’s not. Additionally, the guild is concerned consumers, who have a right to know with whom and what they’re dealing, are not misled and deceived. Only the guild’s NZCOTY is ‘the real’ NZCOTY. Conversely, the guild is concerned there be no ‘reverse’ passing off – that is, NZAA/NZME Drive don’t pass off the AA/DCOTY as the guild’s NZCOTY. “I write to bring the guild’s concerns to your attention. I will assume NZAA and NZME have no intention to in any way pass off the AA/DCOTY as the NZCOTY, and will not represent or give the impression – expressly or by implication or omission – that the guild endorses or approves of the AA/DCOTY. In particular, I would like assurance NZAA will not again use ‘New Zealand’ in the name of the AA/DCOTY and it will procure NZME Driven does not do so. “After careful deliberation, there are several salient points in response, which I believe require further consideration by the MWG. “Like the guild, the AA has a rich history in the New Zealand Car of the Year Awards in its various iterations. Prior to the AA Motoring Excellence Awards, for many years the country’s premier award was the AA Autocar Car of the Year, which developed business goodwill and support. “The AA Driven New Zealand Car of the Year Awards is a specific title, which includes both organisations’ brand names. Indeed, the title is one that can only be used through the shared partnership and as a result of a specific agreement. “It’s a deliberately selected naming convention as the AA and Driven are aware there’s always potential for other entities to also run awards, and in no way seeks to limit the free agency of those organisations. It’s a clear title we are firmly of the view gives no room for misunderstanding as to who is involved. Indeed, the title of both entities gives an assurance to those who are involved as to the calibre of the awards. “Regarding the concerns of ‘reverse’ passing off, I can give you assurance the words ‘Motoring Writers’ Guild’ will in no way be used as part of materials or publicity surrounding the AA Driven New Zealand Car of the Year Awards. “With the many guild members who make up the judging panel, I’m unable to direct they not identify themselves as members, but it is in no way our intention they promote their connection in a manner that would give rise to concern for you. “Turning my attention to the use of ‘New Zealand’ as part of the AA Driven New Zealand Car of the Year Awards. “It is important to note, as I’m sure you are aware, the name of a country is not one that can be trademarked. 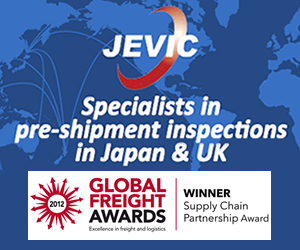 Indeed, it would be most unusual to not use the country of origin in the awards name for any organisation that wishes to make it clear where the event has taken place. “Thank you for your letter of September 21. The points you made have, as you requested, been considered by the guild. “My letter of August 30 didn’t intend to suggest the guild’s ownership of business goodwill in the NZCOTY award meant no other person or entity may hold a motoring excellence or car of the year award. “Our concern was the inclusion of ‘New Zealand’ in the name of another award ran the risk of passing off that award as the guild’s NZCOTY award. Our concern was heightened when ‘New Zealand’ was being used in the name of a new award by an entity that until only nine months ago shared rights and licences in respect of the guild’s NZCOTY award. “No clarification is required as to the country in which the AA/DCOTY awards will take place. 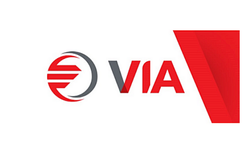 As far as I am aware, NZAA and NZME Driven operate only in New Zealand. No person could possibly take an AA Driven Car of the Year Award being organised and promoted by NZAA and NZME as being held anywhere but New Zealand. “My letter of August 30 also expressed the guild’s concern that consumers and businesses, who have a right to know with whom and what they’re dealing, are not misled and deceived. The points in your letter of September 21 have not alleviated those concerns. The Commerce Commission “didn’t consider there to be a clear breach of the FTA to pursue the matter”. A spokesman adds: “We have redacted names and identifying details from information provided [to Autofile] under the OIA to protect the privacy of natural persons. To provide context to its response to the complainant, the commission has outlined its screening process to Autofile Online. - The likelihood of a breach of relevant legislation – the FTA, Credit Contracts and Consumer Finance Act, and Commerce Act. - The commission’s enforcement response guidelines, strategic priorities and resourcing constraints. “The commission has the power to act on reports, but isn’t required to take action in relation to all possible breaches of legislation we enforce,” explains a spokesman. “If a report is deemed to meet certain criteria, it’s reviewed by managers and experts from the competition and consumer branch. This panel decides which reports are to be prioritised for further consideration by the branch. More information about enforcement criteria can be found on the commission’s website. It receives several thousand complaints each year and doesn’t investigate them all. 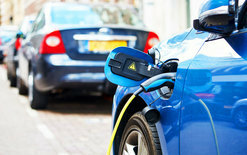 The MWG complaint was considered under the FTA with the commission assessing whether consumers were likely to have been misled.